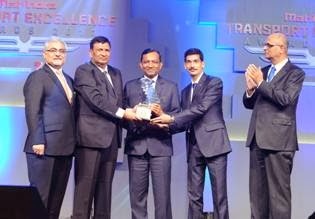 It was indeed a red letter day for the Indian Transport Industry where Mahindra Truck and Bus in its bid to drive a positive change, ushered in its third edition of the Mahindra Transport Excellence Awards on 9th January 2014, at The Ashok Hotel, New Delhi, amidst the who’s who of the Indian Transport who graced the Occasion which was also supported by MoRTH India (Ministry of Road Transport and Highway). The occasion was formally inaugurated by a light lamping ceremony at the hands of Hon Shri Oscar Fernandes, Union Cabinet Minister of Road Transport & Highways, Govt. 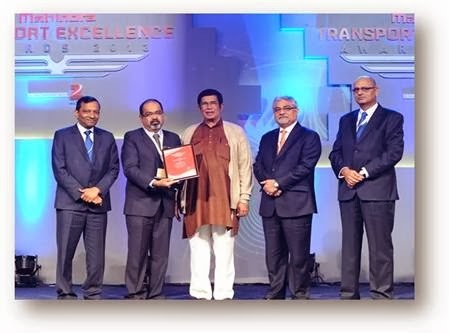 of India along with Dr. Goenka, Executive Director & President (AFS), Auto & Farm Equipment Sector, Mr. Rajan Wadhera, CEO TPDS, Mr. Nalin Mehta, MD and CEO Mahindra Truck and Bus and Dr. Bhaskar Das, Group CEO, ZEE Media respectively. The evening commenced with a Panel discussion on Road Safety presided by the stalwarts of the transport industry namely: Dr. Rohit Baluja, President Institute of Road Traffic Education (IRTE), Mr. Anil Shukla, Additional Commissioner of Police (Traffic), Delhi, Mr. Rajeev Lochan, Director (Road Safety), Ministry of Road Transport and Highways, Govt. 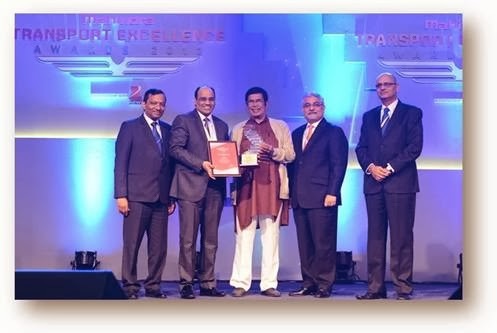 Of India, Mr. Sanjay Bandopadhayaya, the Hon’ble Joint Secretary of Ministry of Road Transport and Highways, Govt. Of India, Mr. Dinesh Tyagi, Director International Center for Automotive Technology (ICAT), Mr. Rakesh Batra, Partner, Ernst & Young (EY), Mr. Pirojshaw Sarkari, Chief Executive Officer, Mahindra Logistics Ltd. respectively where various topics such as improving the traffic conditions with sustainable transport were brought to table. Interestingly, this season of awards witnessed many firsts that added the whole lot of enthusiasm taking the entire awards ceremony a notch higher. To begin with, for the very first time country’s first Lady Truck driver, Ms. Yogita Raghuvanshi was facilitated and handed over a truck Truxo 25 by MTBL. 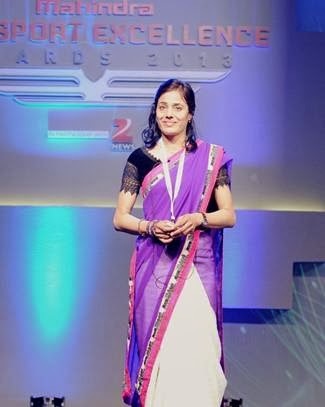 She received an impromptu standing ovation as she narrated her story of the brave heart, daring her way into the world dominated by the male bastion. The most awaited award was indeed the Super Outperformer Winner who chosen winner through the vote-o-meter process. 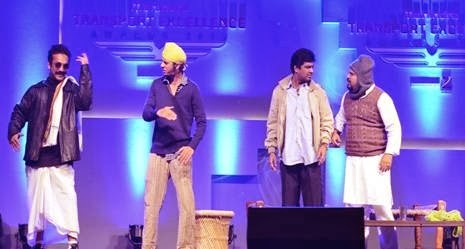 The moment finally arrived when Mr. Mahendra Singh Rajput was announced the winner; whose presence was awaited on stage with Abdul Ghani and Shiv Prasad; the earlier Super Outperformers along with the dignitaries. Started with much passion and zeal is yet another industry first, the new MTBL initiative for driver’s daughters, the Girl Child Scholarship under the banner of MAHINDRA SAARTH ABHIYAAN. 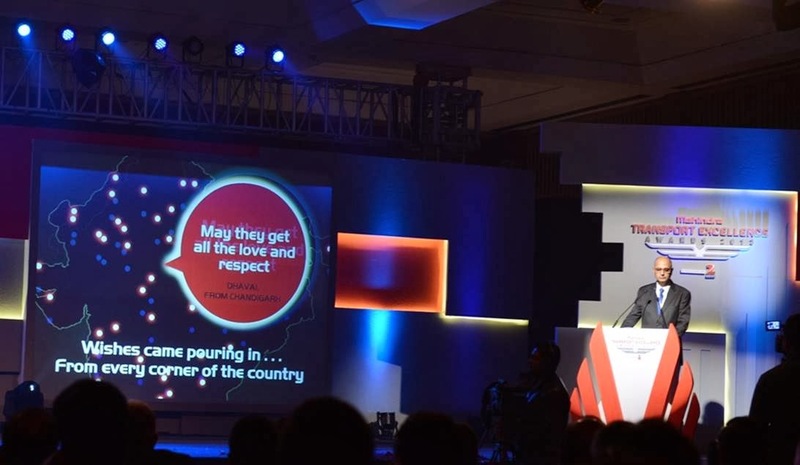 This pioneering launch was unveiled by Mr. Mehta who read out the message on behalf of Mr. Anand Mahindra for this occasion. 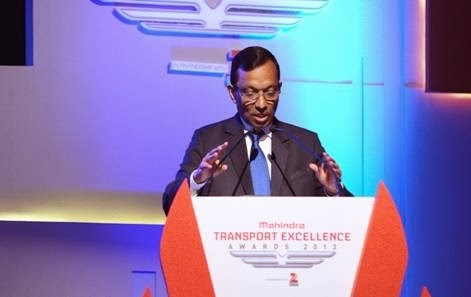 Dr. Pawan Goenka also announced the Mahindra MPower War Room, a sequel to MPower management development program for the second generation Youth transporters, in a bid to provide the right tools and techniques for the running their business successfully and profitably. 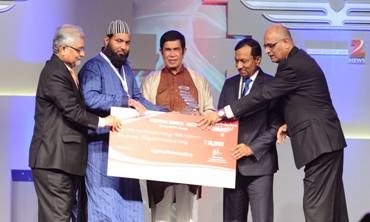 The top honors were bagged by prominent CV Financers like ICICI and IndusInd in their category. 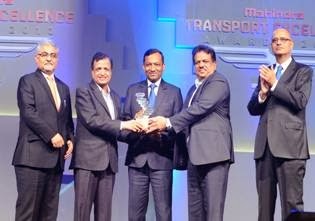 Adding to these set of awards was another set of awards that were given away known as the Dhaba – Mechanic – Driver Awards. 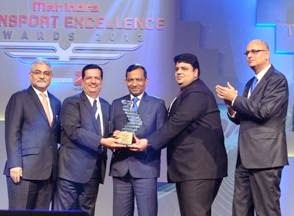 The Fleet Owner awards stole the show with its very new approach wherein there were 16 winners from 8 segments. The award ceremony was one starry night with all outperformers on one stage creating that magical moment. The evening was an engaging one, as it was interwoven with a mixed bag of entertainment. 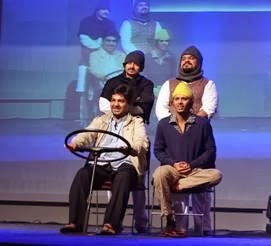 The first piece of performance by a group of young artists from Prithvi Theater who through their one act play portrayed the life of a Driver. Celebrity dancers, Punit and Lauren the outperforming duo of the Jhalak Dikhla ja, enthralled the audience with their foot tapping performance. 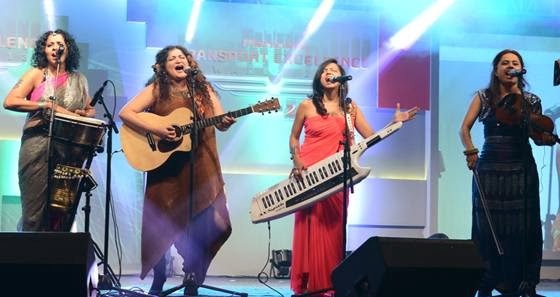 Last but not the least, it was Indiva who captured the audiences’ senses through their vibrant renditions with the song, “Rise, Mpower and Shine” especially dedicated for the MPower initiative. The awards night came to its fag end with 7 starry eyed youngsters won a Lady Transporter and Youth Personality award. 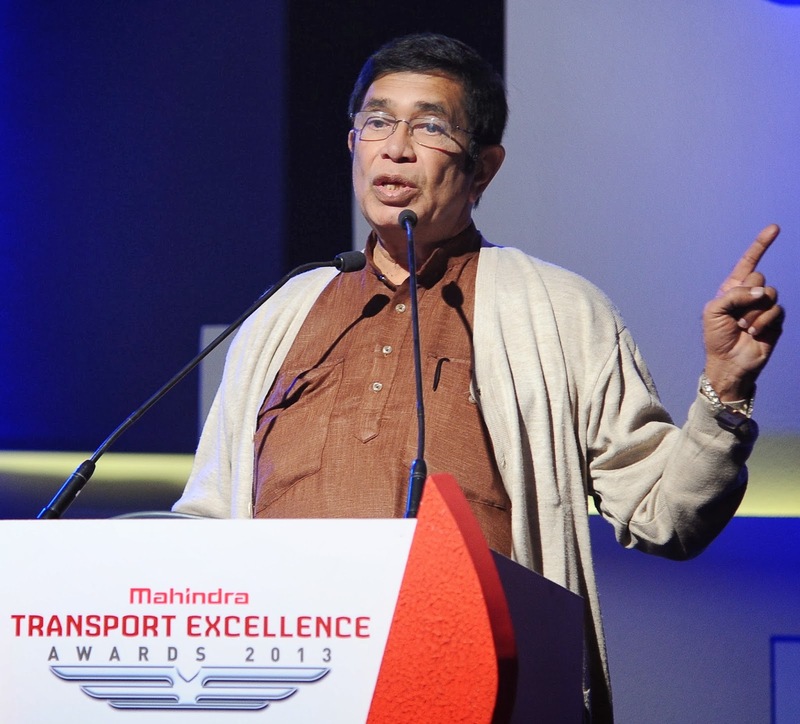 Hon Shri Oscar Fernandes, Union Cabinet Minister of Road Transport & Highways, Govt of India presided over the proceedings. Seen lighting the ceremonial lamp along with Dr. Goenka, Mr. Rajan Wadhera, Mr. Nalin Mehta and Dr. Bhaskar Das, Group CEO, ZEE Media (Mr. Anand Mahindra, CMD, Mahindra & Mahindra, had to cancel his planned presence due to sudden bout of flu. 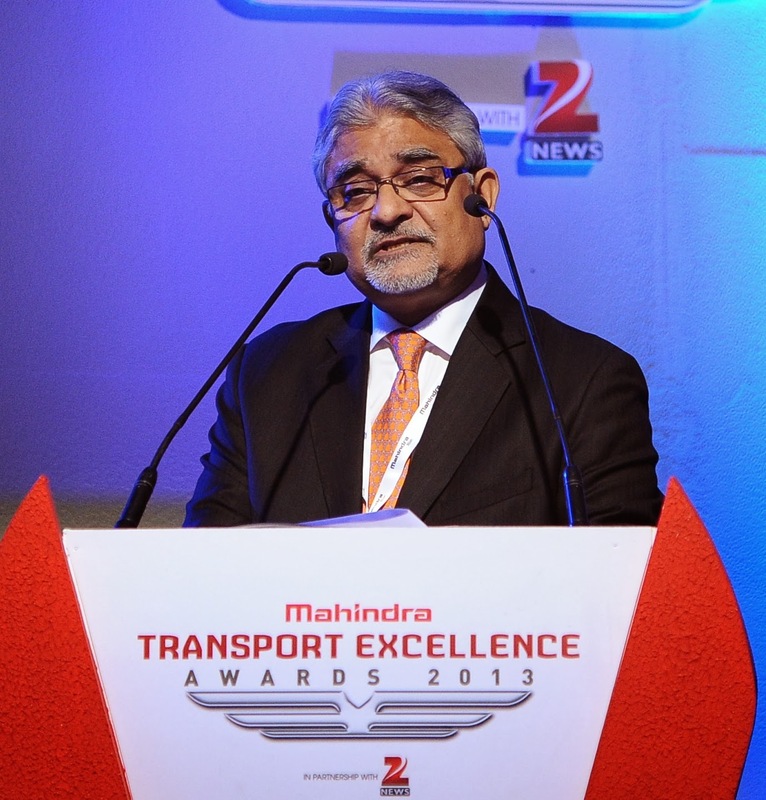 An apology note for absence and the key note address of Mr. Mahindra was read out by Dr. Goenka and Mr. Mehta, respectively). Hon Minister recounted his old ties with M&M and the Jeep that he was gifted by Late Shri Rajiv Gandhi, which is still roadworthy…and the fact that tomatoes that cost Rs. 30 in Delhi cost 30 paise in Jharkhand village, thereby throwing a challenge for transporters to make this more equitable by taking lead in driving efficiencies. 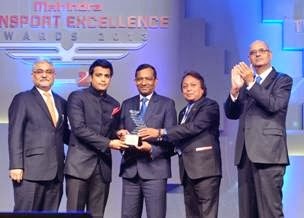 The dignitaries waited with bated breath for the new Super Outperformer winner with Abdul Ghani, Shiv Prasad, the earlier Super Outperformers. And then the moment arrived. 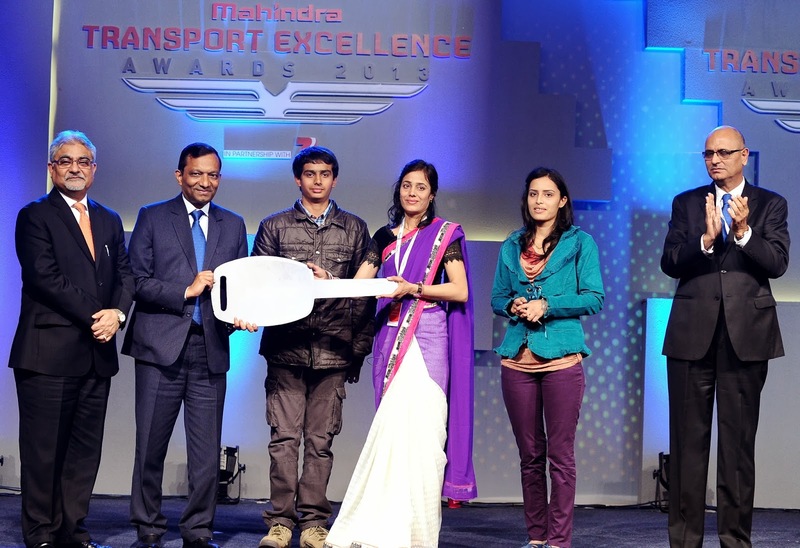 Mahendra Singh Rajput was voted the new Super Outperformer driver through the vote-o-meter process. 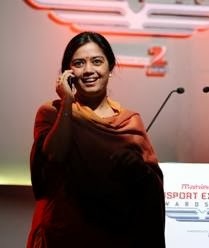 The lady who won all the hearts. HCV driver, Yogita Raghuvanshi (seen on the right with her children) being given the ceremonial key of her TRUXO 25 amidst standing ovation! 8 Segments, 16 winners. 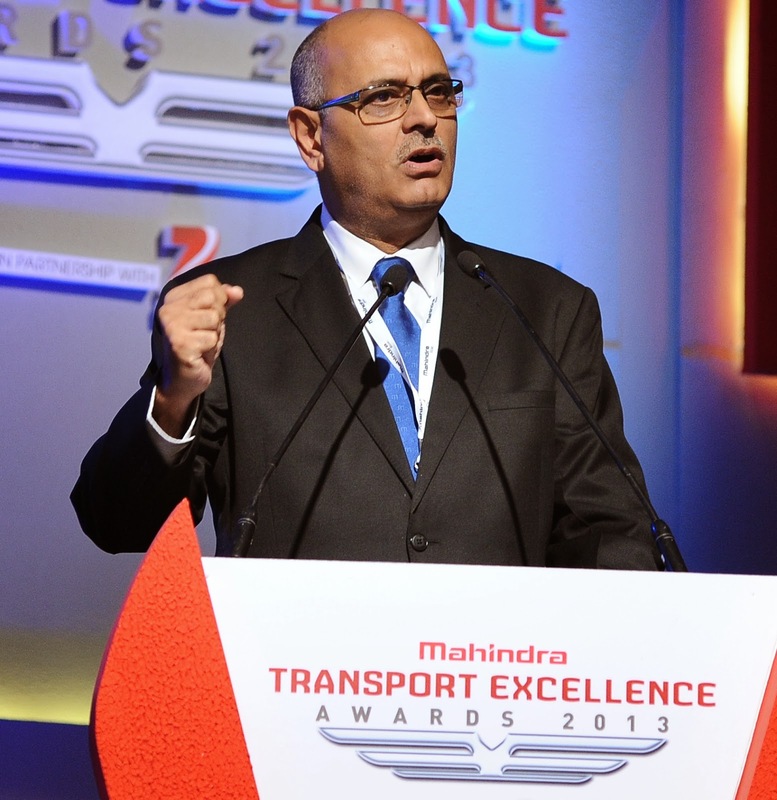 A new approach to Fleet Owners Awards was seen in this year’s Mahindra Transport Excellence Awards. And finally, the magical moment – all outperformers on one stage! This is very good work form your side.I am relay thankful to your company.This is very good social work better girls education.